With the Scottish parliament having rejected Theresa May’s EU withdrawal bill, and support for reunification surging in Northern Ireland, it is an opportune time for a think tank to host a day of discussions on “the state of the union”. But for said discussions to be opened by Michael Gove seemed a little less opportune. After all, the current “state of the union” is not unlike the state of a hotel room shortly after it’s been checked out of by The Who, and it is questionable whether those who have to live in it want to hear advice on how to tidy the place up from Keith Moon himself. Gove arrived several minutes late for the 9am start. We must assume that, having shat the bed at 7.30am, he had come straight from opening a “state of the bed” discussion immediately before. Such terms are endlessly popular these days, but it is hard to work out the precise nature of the universe Michael Gove inhabits. Post-truth doesn’t quite cover it, as a post-truth world must have some residual air of truth still in it, lingering like a bad smell. It is more like some kind of science fiction fantasy where the chemical compounds that fire the hormones in basic human emotions like shame and dignity have never been formed. Where the truth is just some inarticulate fresher in a debate at the Oxford Union, there to be made to look stupid. “Identity politics” is on the rise in many parts of the world, Gove explained, but not apparently, in Britain, where the Brexit vote has led to “identitarians” like Ukip being “eclipsed and diminished”. I mean, I happened to be in a theatre in Stoke two years ago, when one of Gove’s cabinet colleagues, Chris Grayling, stood on a stage with Nigel Farage and chanted: “We want our country back! We want our country back!” That we now know that was all with the intention of “eclipsing and diminishing” the cause is a fascinating revelation. “Eclipsing and diminishing with Michael Gove” sounds like a fun seminar straight out of Viz Top Tips. Has someone left a petrol can too near a fire? Simply eclipse and diminish the threat by pouring it straight on. Is your toddler standing too close to the platform edge? Simply eclipse and diminish the danger by pushing them straight in front of a passing train. We also learned how Brexit had “strengthened the union”, principally because, having had one taste of pure chaos in the form of Brexit, Scottish voters decided in the snap election of 2017 that actually, the SNP and Brexit was very much alike, and tin-brained nationalism dressed up as progress wasn’t for them after all. But still, thanks to Mr Gove, on these tiny islands where everyone hates everyone else like never before, the spirt of unionism is alive and well. And this is certainly true. When people like, say, Michael Gove launched events on how the EU is “paving the path to Britain from Ankara” and gladly put their name to a poster claiming, “Turkey, population 76 million, is joining the EU” above shadowy footprints scurrying through an open door marked UK, there certainly is a catharsis when it doesn’t happen. Because it was never going to happen. It is hardly surprising that people are more positive about immigration when they think they’ve succeeded in shutting the door on the stampede from Turkey, which was never a real thing anyway, it was just a lie told by a tiny handful of politicians happy to have the bypass in human decency required to tell it. And then one of whom, at nine o’clock on Monday morning, was prepared to go even further, and actually seek to take the credit. 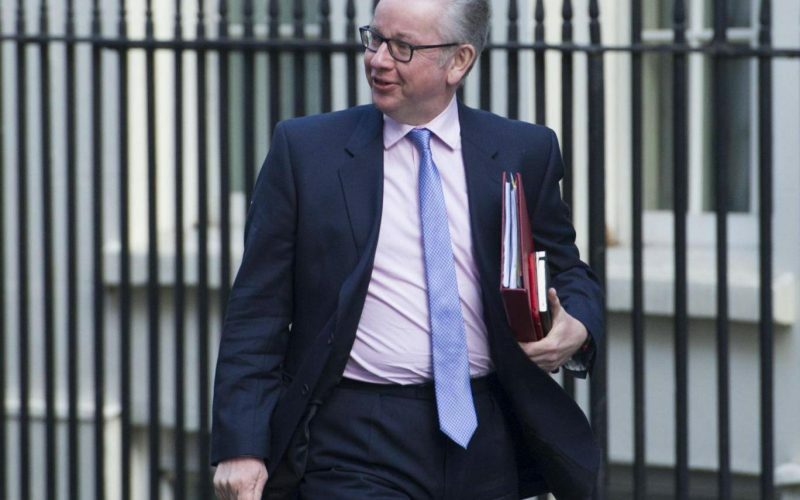 It was the intellectual equivalent of that bald 12-year-old in The Matrix, staring at a spoon and declaring: “There is no spoon.” Reality is there to be bent to the required shape that will show that Michael Gove was right then and is still right now, because Michael Gove is just that clever. Oh Gove, it is not the spoon that bends. It is only yourself.